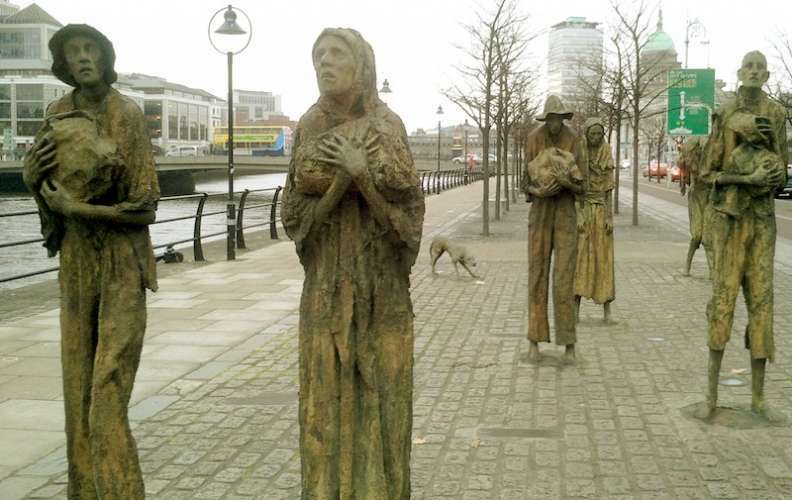 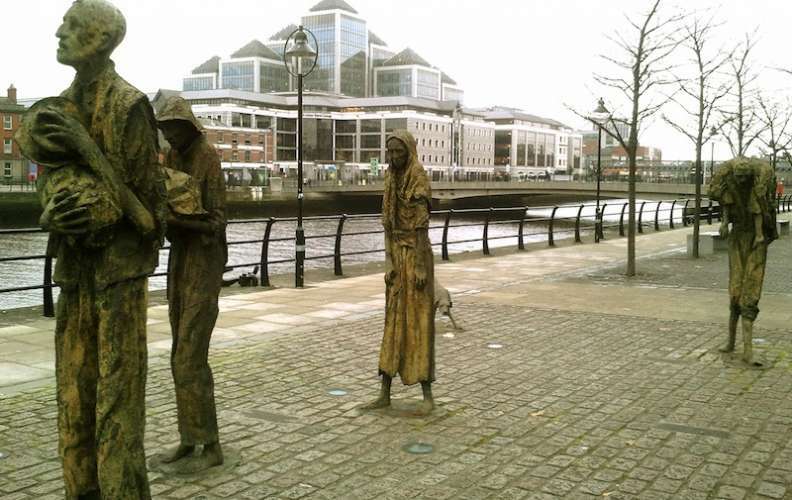 Situated on Custom House Quay near the IFSC (International Financial Services Centre), the Famine Memorial pays tribute to the victims of the Great Famine or An Gorta Mór ('The Great Hunger' in Gaelic), which between 1845 – 1849 forced mass starvation and emigration, causing one million to die and at least another million to emigrate. 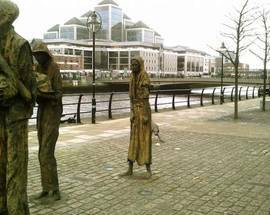 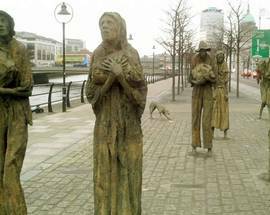 The memorial depicts weary, emaciated forms marching towards the docklands in search of the promise of a better life in the US or Canada. 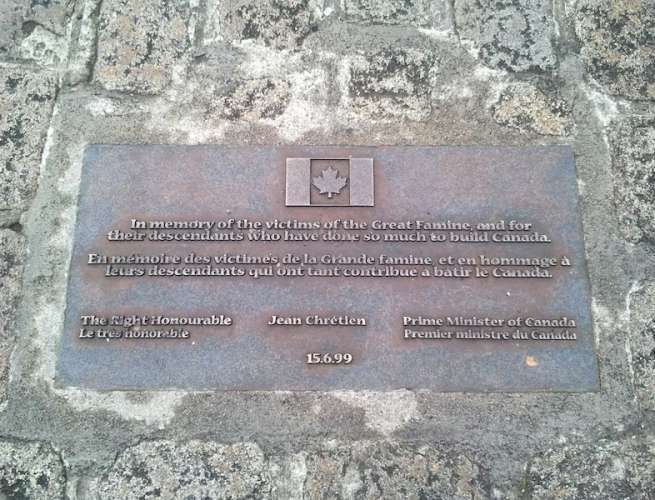 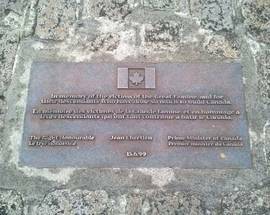 A plaque at the Memorial bearing the sentiments of Canada’s 20th Prime Minister – Jeán Chrétien - reads, in English and French: ‘In memory of the victims of the Great Famine and for their descendants who have done so much to build Canada.’ Presented to the city in 1997, the Memorial was created by artist Rowan Gillespie – an Irish bronze casting sculptor – and is a snap shot of life at the time, a poignant reminder of the potato blight and a haunting landmark worthy of a visit.